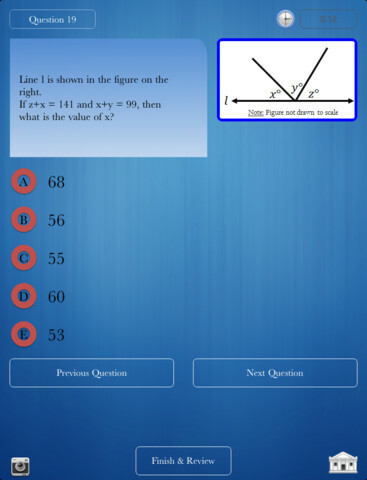 Ace the SAT: a free application that provides you with math questions to practice for the SAT exam. The software learns as you keep using it. 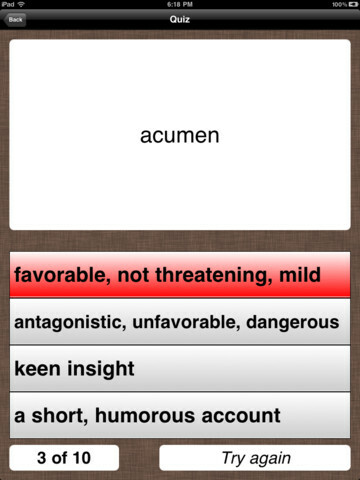 SAT Vocab Cards: whether you are preparing for the SAT or GRE exams, this app can help. It has 1000 high frequency SAT words to get you started. 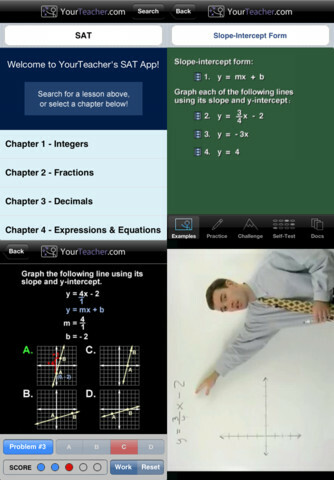 SAT: not a cheap app by any means but it provides you with a course on on the math section of SAT. It allows users to test themselves too. 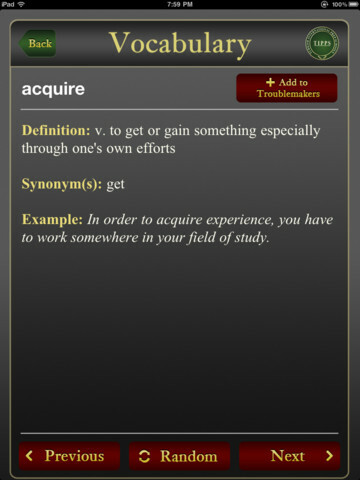 TOEFL & SAT Vocabulary Prep: a simple app that helps you get prepared for SAT and TOEFL. It has words and exercises to get you ready. Mathemagics: in order to ace the math section of SAT without running out of time, you need to be able to finish your calculations fast. 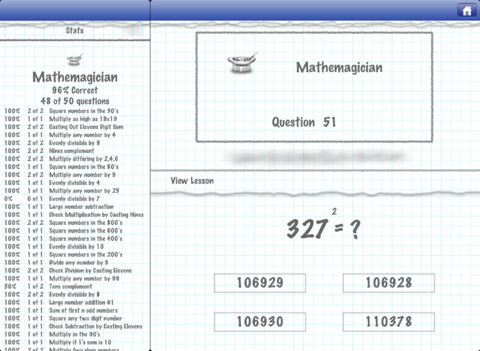 This app teaches you tricks to calculate numbers faster in your head. SAT Connect: a very popular SAT application for iPhone. 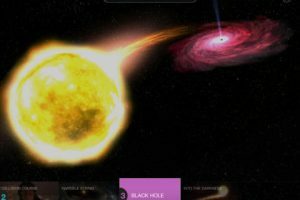 It has 800+ questions with full explanations. 7 diagnostic tests are included as well. You get over 5000 pages of review material. 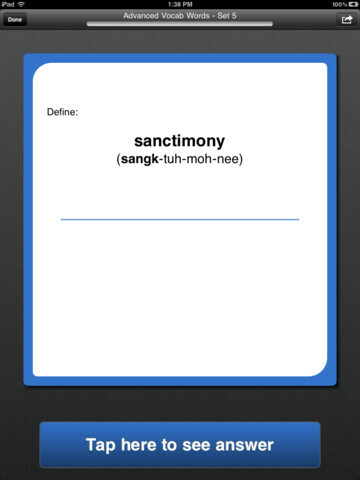 SAT Vocab: this is a SAT vocabulary application that teaches you how to study for this exam more effectively. It has 1400 flashcards covering words found on the SAT and ACT exams. 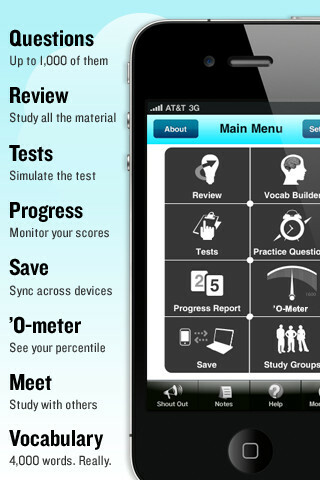 What are your favorite SAT apps for iPad?